It is very difficult to write about the “migrant crisis” in anything like an unemotional way. Well it is for people with any semblance of humanity about them. If you have been able to resist the sinister narrative that describes people trying to enter the UK in contravention of our immigration controls in non-human terms, then what you see on the shores at Calais is not a “horde” or a “swarm” or an “invasion” but the human collateral, the tragic consequences for men, women and children of a world where capitalism and imperialism continues to reek havoc with people’s lives. The causes of this so-called crisis are well documented – war, poverty and oppression – leading people to take the most desperate of measures to find safety. The role played by the UK In creating the conditions are even grudgingly acknowledged by the British press. However, the “solutions” put forward are in some cases not only racist but are uncomfortably reminiscent of fascism. The British right have exploited ignorance and fear amongst current UK residents to the extent that there is huge support for a draconian response. The plight of the holiday makers caught up in the Calais chaos receives more concern than the thousands who are risking everything in order to reach these shores. The calls for stricter border controls, extra fences and dogs and even calls for the Ghurkhas are the tip of an iceberg which may end in mass internment camps. Ultimately the dehumanisation of these courageous, ingenious people who have made it so far against all the odds is devoid of compassion understanding and morality. We are not talking about folk who just fancy a change of scenery, or think Britain is a soft touch for benefits we are talking of those who have endured hardship which most of us cannot even imagine. When you look at the reality of this “invasion” the numbers trying to access Britain is very small indeed. 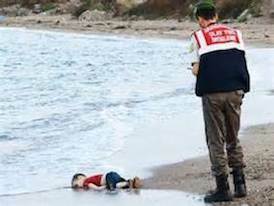 Having refused to sign up to any European quota, the UK has shown utter contempt for human life. Whether they are facing drowning on the coasts of Italy or huddling in makeshift refugee camps in Greece, our government has washed its hands of responsibility. The idea that Britain is full and would be swamped is a nonsense perpetuated by the right and the racists and given credence by both Tory and Labour as they lurch after votes. They too are culpable in feeding the myths which encourage xenophobia. I had to laugh when potential food shortages were cited as a possible consequence of the Calais blockade. Really? Food shortages? Tell it to people already reliant on food banks here or those from parts of the world where conflict or famine has meant life scraping food from wherever they can! It was heartening to see a small group of protesters challenge the EDL and Britain First at Folkstone but their small numbers left them vulnerable to attack. The left in this country need to lead a much larger, more militant campaign in defence of those hoping to come to Britain. We should be demanding an opening of these borders in both political and humanitarian grounds. For this to be successful however, we must change the narrative. The fightback must include an educational process on how and why these people have fled their own countries, risked their lives and the lives of their families and what their expectations are of coming to live here. They do not want to scrounge or live on benefits but want to work and contribute their not inconsiderable skills to creating a decent life for themselves and others. By allowing the 5000 or so people to come here, we would stop the conflict between them and the haulage drivers, many of whom are sympathetic to their plight but who are forced into an aggressive position due to the severe fines they face if caught with them in their vehicles. We need to help those who arrive on our shores to settle, not in ghettoes but throughout the UK and services must be bolstered to cope with the numbers arriving. The fear created by the establishment will not be borne out by the reality if the situation is managed properly. Right now though we need to be on the offensive. We must take action now through demonstrations and practical support for those trying to get here. The slogans of No one is illegal and Refugees are welcome here should be the watchwords of our campaigns.